[Updated 7/2]Skype is the most popular VOIP service in the world that allows users to communicate through an internet connection by instant messaging, both video and audio online calls. But, the only disadvantage with Skype is that it does not record Skype calls directly in whichever format, yet in most cases we would very much love to record our calls for future purposes. So, if you have been wondering on how to solve this problem, worry not anymore! All you need is a call recorder software, and right here in this article, we introduce to you several third party plugins. TalkHelper is a comprehensive easy to use tool that has genuinely astonished through its quality recordings in the business industry. 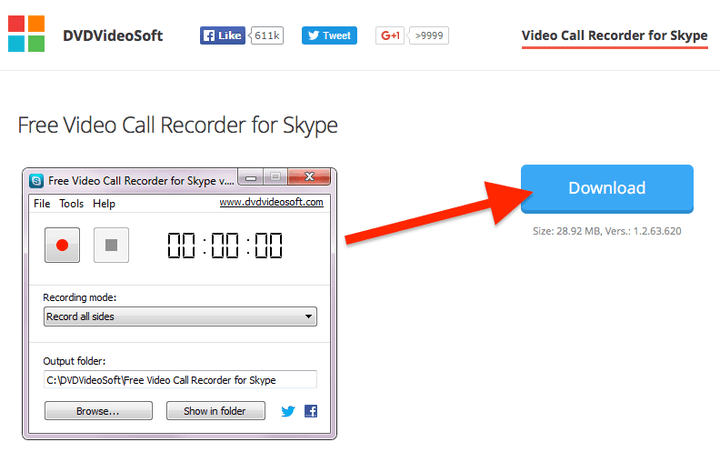 This Skype call recorder only supports versions of Windows and works well with both audio and video recording. It is good at organizing files. One of its cool features is that it ensures systematic services and good quality results; you can record millions of Skype conversations with just a single click in both audio and video calls. TalkHelper can capture both your audio and video calls since it records from within then save them on your computer. Store all your audio calls in MP3 or WAV format, video calls in OGG,AVI,FLAC format, and Keep your recordings safely with TalkHelpe, click to see the full review. Pamela works on windows devices and is free to download, this software comes in four different editions i.e; Basic, Professional, Call Recorder and Business. The Pamela Basic is a freeware that is restricted to only 15 minutes of Skype call recording. Pamela allows users to transfer a call to a specific contact and when you try to make a video call, it will quickly bring the option to either record video and audio or just audio, the ball would be in your hands. With Pamela, you are able to play your audio files during a call and add notes after. Furthermore, your video recording will definitely appear in the list of your recording the moment you click on the stop button. MP3 Skype Recorder is a free app that works in the same way as Pamela. This tool records calls when you begin conversations with pause and resume options and you can save them locally in files using compact and MP3, OGG or WAV format for future reference as it can capture calls in high quality. It has got a simple approach that supports multiple recordings, of which it can create recordings without even user input with different recording modes to record calls like picture in picture, only video or only audio modes. Also, remain minimized and monitor calls. Install this application to record endless calls and save them as separate files for future use plus capture P2P and PSTN calls. Amolto is excellent software that works with Skype and automatically launches the moment your Windows boots up. After the process, an “Amolto.exe wants to use Skype” prompt; will show up and all you must do is hit the “Allow access” button to start recording when you engage in a conversation, and when you stop, it saves the conversations as high quality audio files that can be played in either an external player or with the built-in player. Plus you can add MP3 tags or notes to your recorded calls in case you want to Note-to-self any part of a conversation. Dvdvideosoft’s Skype video recorder is free and simple software for all users of windows which allows you to record Skype Calls with no limitations and all it requires you is to follow the instructions and you are set to record various conversations in different modes , be it interviews, conferences or personal calls. Dvdvideosoft can record audio and video on both sides, picture in picture, only audio or only video of other sides of the conversation and has the ability to create MP4 video calls, MP3 from audio calls which means you can still replay the exact recordings from different external devices. All you need is to choose the mode you prefer. Enjoy the experience. Evaer video recording app is a simple app that works with Skype for windows which offers a free trial of software for a limited period of time and requires payment for the license for other options e.g. ; standard and the professional one to support video calls. With the professional license, you have so many options to record uncountable Skype conversations in whatever mode. Evaer records both video and audio files with an option to record video conversations separately into MP4 and AVI files. Conferencing has become easier with this tool since it can support screen sharing with users also records video calls directly to your HD with picture-in-picture, side-by-side, separate files, audio-only, local-webcam-only and remote-webcam-only mode. iFree Skype recorder is a free tool as its name suggests for recording voice conversations without any limits to the users. It is very easy to download and install on your computer as it features both manual and automatic recording capabilities. With both the options, you can record Conferences on Skype, But, automatic recording is very flexible when it comes to conferences, and mostly used when carrying out interviews. It also stores all your calls to MP3 format using Lame MP3 Encoder. Vodburner for windows is free to download with a small interface that enables users quite a smooth way to all the functions which makes it easy to record calls. Vodburner has been commonly used to record Skype videos since it can easily record each party in the video to separate files and create MP4 files that are could be shared. This tool is convenient because during a call, you can play around with the pause and play button, better still, stop the call. And even through all that the tool will still produce high-quality audio and video output. And it gives you the power to add whatever you like to your recording, whether a caption or a memo. CallNote is among the best free app for recording conversations in Skype with abit more advantages compared to similar applications, Facebook Video, Evernote and Dropbox, Viber all makes it flexible and easy to share your memories with loved ones and friends. It is easy to use and to execute all the commands it comes with, and has the ability to record calls up to 8 calls simultaneously and also manage all your recordings. In addition, you can pause and resume any call recording. And it allows you to capture video shots, chats and shared screens. Supertintin Skype Video Record App is a tool mainly used for online interviews, podcasts, conferences and family VoIP calls. It records both audio and video streams including voice mail and screen sharing video in the highest quality. With Supertintin you can record calls by capturing original media data while making sure there is no data loss and since it’s not a screen capturer, your video quality is never affected. It allows to record video in picture-in-picture, Remote-Only, side by side and Local-Only model and also saves your conversations to your computers HD giving you the freedom to replay the videos in future. PrettyMay is an excellent add on software categorized as communication tool for windows also, an intellectual property of PrettyMay Team. This software allows you to record Skype calls and it has a number of features for example, Music sharing during a call, Answering Machine and storing voicemail into MP3 files etc. its most common versions are 3.0.5.18 which are compatible with Skype. CallGraph is an advanced User Interface for managing your recordings and currently only for PC’s. CallGraph will automatically connect to Skype on your computer after it has been downloaded and installed, and you will be in position to record as many calls as you want in MP3 or WAV format because it has no limitations whatsoever. It is known for providing high quality recordings during phone interviews which are normally stored on “My Documents” folder by default and can still be edited. Also, shows notifications on the task bar icon minus destructing with your calls.